It’s no surprise to us here in the Social Action Team in Cabinet Office that the UK is the 7th most generous country in the world. From the incredible fundraising by Stephen Sutton MBE for Teenage Cancer Trust to the commitment of the 70,000 volunteer Games Makers at the Olympics and Paralympics, we know the UK is an extremely generous place. I’ve seen it first-hand too running the Great North Run for charity dressed as Woody from Toy Story! Social action, whether volunteering, giving, community action or simple everyday acts, can empower citizens, improve outcomes for people in need and complement public services. But what’s the best way to mobilise this energy and capability as effectively as possible? In some areas, social action is already part of the fabric of life. In our schools, around 300,000 governors play a key role in ensuring every child gets the best possible education. In acute trusts, more than 78,000 volunteers give more than 13 million hours a year across England. Yet in many areas, social action could play a greater role, helping to respond to challenges like an ageing population, the impact of long-term health conditions and the desire for more personalised services. To realise the potential of social action, we need to think differently about how services are designed, harnessing the passion and skill of citizens. That’s why we launched the Centre for Social Action. The Centre has now invested £40m in 215 projects, helping them to demonstrate their impact and grow. We developed a number of our funds in partnership with other Government departments (e.g. DH, MoJ, PHE), exploring how social action can work alongside public services, from helping young people to reach their potential to reducing pressure on A&E by supporting older people to stay well. Look at Shared Lives Plus. It matches people who are willing to give their time and share their homes with vulnerable adults who need support to live independently. And the impact? 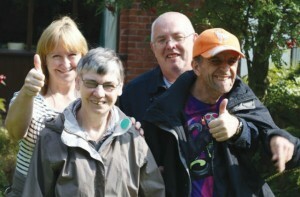 A positive effect on the quality of life and wellbeing of the vulnerable adults and average net cost savings from a long term arrangement of £26,000 per annum for people with learning disabilities. We also know that communities are often best placed to respond to local issues, so we’re devolving power and resources. Our Community Organisers programme has recruited and trained more than 5,500 organisers in deprived wards across the country. By listening to their communities they identify local leaders, projects and opportunities, and empower the local community to improve their local area. So far, they’ve already listened to 150,000 residents and supported nearly 1,500 community projects. This is an emerging agenda and the challenge is to spread and scale such innovation, securing local buy-in, developing further partnerships and sharing evidence. It’s now for all of us, from policy-makers to commissioners, to consider what role social action could play in our own areas of work. Are there programmes and services you are working on where social action could have a significant impact? How could your programmes and services be designed to enable this? Or perhaps there are barriers that we need to overcome? Our goal? That in 20 years’ time, social action initiatives that currently look bold and innovative will simply be seen as another part of the fabric of life. For more information on the role of social action and our programmes, please read our discussion paper Social Action – Harnessing the Potential.